Despite the mid winter cold… thanks to those who could make it today and contribute. A number of regulars could not make it today – or only for a short time – but it was good to see a few new people and we had a productive meeting none-the-less. We started with some mundane but essential discussion on the agenda – the labelling and databasing issues with the seed packets and how to clarify packing dates and harvest dates. This is really important for us to have settled so that when new people (and regulars) help pack seeds we have a consistent approach to tracking where they come from and the ‘use-by’ dates can be calculated correctly. Most seeds have a very flexible germination rate and ‘life’ which only gradually dissipates over a long time – often more than 2-3 years. However we do have some seeds that have germination rates that drop very quickly over only a year. Also when people buy our seeds we want them to feel like they have good accurate information about when they should be planting them for best results. 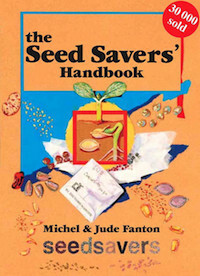 A more comprehensive standardised list is being made up of the seeds most commonly save and pack so that we can use that as a firm guide for setting dates for ‘expiry’. This usually is set to be around the 70% germination point – i.e. when seeds reach an age where only about 70% of the seeds are viable when you plant them. However the seeds will often go on for many years. Some examples being plants like Broad Beans and Corn which have been known to stay viable for decades. However we can’t reasonably guarantee seeds for that long. We are also planning to have members volunteer to focus on growing more seed of specific commonly asked for plants so we can supply for the obvious local demand we have. These will include things like basil, lettuce, rocket and the salad greens. After this we continued with our usual seed and plant growing discussions and the essential Weather reports for various locations in the mountains. Again – thanks to all those who turned up today and helped out and we hope to see you again next time.